Actors are increasingly asked to tape their own auditions and send them digitally to casting directors, and those ones who master the skills of self-audition have a crucial advantage in booking the role. Actors will be assigned material in advance, prepare a self-taped audition and post it to a drop box. On the day, Nancy will give a critique of the material. Students may also bring head shots, and promotional material for review. Nancy will also assign scenes for a mock casting on the second day. About CCcom. CCCom : is a large platform used by most casting directors and agents in France, to connect artists and professionals, providing visibility for every users and creating the opportunity of being cast, even for those who don’t have any artistic representation. About Nancy: Emmy-award nominated, American Casting Director, Nancy Bishop, has cast nearly one hundred American and British projects. Based in Prague and London, she has cast for major feature films including and Mission Impossible IV, Roman Polanski’s Oliver Twist, Prince Caspian, Bourne Identity, and she recently finished the European casting on Michael Apted’s film Unlocked starring Michael Douglas and Orlando Bloom. She has been teaching film acting workshops throughout Europe, the UK, and the US for many years. 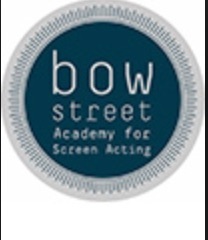 MASTERCLASS, taught by Nancy Bishop, CSA and David Stejskal, head of casting in Prague. In this unique three-part Masterclass, actors will have the opportunity to improve auditioning skills in English and make valuable connections for international work. Self-taped auditions are increasingly prevalent in the industry and actors are expected to effectively present themselves. Actors will post a pre-assigned self taped audition for feedback from Nancy and David. Get valuable tips on how to best use this opportunity. Actors will take part in stimulating exercises that will help actors with spontaneity and purpose, in quick-read audition circumstances. Learn new approaches to cold-reading and strategize an approach to audition work. Part 3: International Actor Marketing Seminar Join Nancy Bishop as she launches her new book, “Auditioning for Film and TV” (Bloomsbury) for a free lecture in English sponsored by Spotlight, Europe’s premier actor database. Lecture will be followed by book signing. Seminar will focus on strategies for actors to promote themselves and procure work in the international market. Topics will include how to best take advantage of the internet for marketing, organize a professional CV, choose a winning headshot, produce an effective show reel, record auditions to send to production, and use social media. 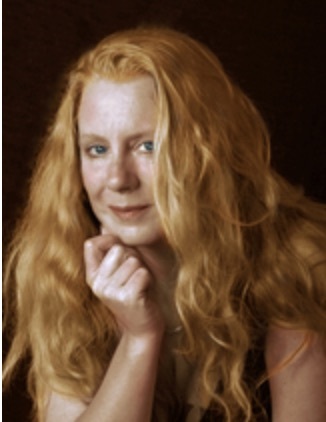 Nancy Bishop, CSA, is an American casting director with offices in London and Prague. She has cast supporting talent on nearly one hundred projects such as Mission Impossible IV, Bourne Identity and Snowpiercer. She recently finished work on Unlocked, directed by Michael Apted and starring Michael Douglas and Orlando Bloom. Nancy was nominated for an Emmy Award and is also an internationally recognized acting coach. She founded the Acting for Film Program at the Prague Film School, and penned two books, the second of which “Auditioning for Film and TV,” will be free to all members of the class and available on sale after the Marketing Seminar. David Stejskal is the head caster in Nancy Bishop’s Prague office. He has worked on projects such as the TV series Transporter, Crossing Lines and the soon to be released Mountains and Stones, starring Ben Kingsley and Josh Hartnett. Trained as a film director, he is also skilled at working with actors and has been coaching actors privately as well as holding a teaching position at the Prague Film School. Nancy Bishop, CSA Emmy- Award Nominated Casting Director and author of Auditioning for Film and TV, will be joined by leading French casting director Nathalie Cheron to offer a special two and a half day MASTER CLASS and INTERNATIONAL MARKETING SEMINAR for actors who wish to position themselves for international work. Stay on top of your audition technique with this two-pronged class. Learn valuable skills for self-taping your own auditions, as well as improving your studio on-camera training. All participants will receive a free copy of “Auditioning for Film and TV. Special Seminar sponsored by Spotlight, Europe’s premier actor database and CCcom, France’s leading actors database. Join Nancy as she launches her new book, “Auditioning for Film and TV” (Bloomsbury). international market. Topics will include how to best take advantage of the internet for marketing, maximize social media, organize a professional CV, choose a winning headshot, produce an effective show reel, and record auditions to send to production. Actors who master the skills of self-audition have a crucial advantage in booking the role. Actors will be assigned material in advance, prepare a self-taped audition and post it to a drop box. On the day, Nancy will give a critique of the material. Students may also bring head shots, and promotional material for review. Nancy will also assign scenes for a mock casting on the following day. Special Guest Nathalie Cheron will help give actors feedback on their promo material and answer questions in a Q+A. working in the field. Nancy’s book “Auditioning for Film and TV” (Bloomsbury) will be free to all members of the class. Nancy Bishop, has cast nearly one hundred American and British projects. Based in Prague and London, she has cast for major feature films including and Mission Impossible IV, Roman Polanski’s Oliver Twist, Prince Caspian, Bourne Identity, and she recently finished the European casting on Michael Apted’s film Unlocked starring Michael Douglas and Orlando Bloom. She has been teaching film acting workshops throughout Europe, the UK, and the US for many years. In addition, Nancy founded the Acting for Film Department at the Prague Film School. She is a member of CSA, BAFTA, ICDN and the Emmy Academy. NATHALIE CHERON: is casting for French and European productions and already worked with some of Europe’s most respected directors. Her credit list includes Lucy and The Family by Luc Besson, Les Garçons et Guillaume, à table! by Guillaume Gallienne, Mr Morgan’s Last Love by Sandra Nettelbeck, Sa Majesté Minor by Jean-Jacques Annaud, Paris, Je t’aime by 20 directors and The Bourne Identity by Doug Liman. Nathalie Cheron is member of the International Casting Directors’ Network (ICDN) and of the Association des Responsables de Distribution Artistique (ARDA). technology to forward your career. Books will be on sale for 500kc and Nancy is happy to sign copies. film, theatre & advertising in Europe and around the world. Join Nancy as she launches her new book, “Auditioning for Film and TV” (Bloomsbury) for a lecture sponsored by Spotlight, Europe’s premier actor database. Lecture will be followed by book signing and party. Seminar for actors will focus on strategies for actors to promote themselves and procure work in the international market. Topics will include how to best take advantage of the internet for marketing, organize a professional CV, choose a winning headshot, produce an effective show reel record auditions to send to production, and use social media. Stay on top of your audition technique with this two-pronged class. Learn valuable skills for self-taping your own auditions, as well as improving your studio on-camera training. Actors are increasingly asked to tape their own auditions and send them digitally to casting directors. Actors who master the skills of self-audition have a crucial advantage in booking the role. In this workshop, participants will be assigned material in advance, prepare a self-taped audition and post it to a drop box. On the day, Nancy Bishop will give a critique of the material. Students may also bring head shots, and promotional material for review. Nancy will also assign scenes for a mock casting on the following day. Targeted exercises will hone on-camera work. Actors will rehearse and record their assigned scenes, followed by view and review. Get professional advice from a casting director who is actively working in the field. Nancy’s book “Auditioning for Film and TV” (Bloomsbury) will be available at the class. Seminar guests will also have an opportunity to get a special limited offer discount to join Spotlight. Gary Broughton from Spotlight, Europe’s premiere casting database, will be on-hand to answer questions. About Nancy: Emmy-award nominated, American Casting Director, Nancy Bishop, has cast nearly one hundred American and British projects. Based in Prague and London, she has cast for major feature films including and Mission Impossible IV, Roman Polanski’s Oliver Twist, Prince Caspian, Bourne Identity, and she recently finished the European casting on Michael Apted’s film Unlocked starring Michael Douglas and Orlando Bloom. She has been teaching film acting workshops throughout Europe, the UK, and the US for many years. In addition, Nancy founded the Acting for Film Department at the Prague Film School. She is a member of CSA, BAFTA, ICDN and the Emmy Academy. About Auditioning for Film and TV: This book is the updated and revised version of “Secrets from the Casting Couch.” A great read, endorsed by Donald Sutherland, Auditioning for Film and TV is a bible of knowledge for jobbing actors. Learn crucial strategies for marketing, auditioning, and using internet technology to forward your career. Books will be on sale for 300kc and Nancy is happy to sign copies. Panel Focus: As the internet connects us and the world grows smaller, the global talent pool is expanding. Americans are working abroad and foreign actors increasingly occupy our screens. This panel discusses how actors can use today’s internet technologies, such as self-tape auditioning and marketing tools to most effectively support their career. Actors will have the opportunity to ask questions about the best strategies for actors to spin themselves in the most positive light to attract casters and representation. About Auditioning for Film and TV (Bloomsbury): This book is the updated and revised version of Secrets from the Casting Couch. A great read, endorsed by Donald Sutherland, Auditioning for Film and TV is a bible of knowledge for jobbing actors. Learn crucial strategies for marketing, auditioning, self-taping and using internet technology to forward your career. Books will be on sale and Nancy is happy to sign copies. About the sponsor: Casting Networks improves the casting process through the application of innovative solutions, cutting edge technologies, and superior customer support, making careers in the entertainment industry more efficient, accessible, and fun for everyone involved. Avy Kaufman, CSA is a multi- award winning casting director, who has cast more than 150 film and TV projects from her base in New York. She has worked with such legendary directors as Steven Spielberg, Ang Lee and Wes Craven.Her casting credits include the Life of Pi, The Sixth Sense, Brokeback Mountain, Public Enemies, and Salt. Myrna Jacoby is the CEO of MJ Management where her clients include Sam Underwood, James Badge Dale, and Joseph Siroka. Prior to opening her own company, she was an agent at the William Morris Agency in New York City and discovered and groomed the careers of Uma Thurman, Famke Janssen, John C. Reilly, Gillian Anderson, and Gary Sinise. Nancy Bishop will read from her second book “Auditioning for Film and TV,” followed by coffee, cake and book signing. About Auditioning for Film and TV (Bloomsbury): This book is the updated and revised version of Secrets from the Casting Couch. A great read, endorsed by Donald Sutherland, Auditioning for Film and TV is a bible of knowledge for jobbing actors. Learn crucial strategies for marketing, auditioning, self-taping and using internet technology to forward your career.